Just a five minute drive inland (2.5 kilometres) from Datça centre and harbour, this very pretty hotel comprises 14 suites and 8 villas set in a peaceful location and with delightful gardens and surrounding a magnificent pool crossed by little wooden bridges. The architecture, merging simple white Mediterranean style and local stone is set off by blue woodwork and a profusion of vividly coloured pots planted with even more vividly coloured flowers. The stunning 400 square meter swimming pool with children's section and jacuzzi is surrounded by teak sun beds and immaculate flower filled gardens. Hammocks are slung under the shade of the pines and a pergola provides the ideal place to read a book . Breakfast is served in the pool side restaurant and snacks and meals are available throughout the day. An Holistic Therapy Clinic is situated in the grounds and offers Reiki Healing, Hypnotherapy, Reflexology and Massage with bookings by appointment. Hotel suites are located on either garden or first floor level. They are spacious and comfortable and equipped with a small kitchen area, a great bonus for those with children or for those who like an occasional glass of chilled wine! During July and August Marfe is an ideal choice for families but earlier and later in the season the peaceful location and stunning setting is perfect for couples looking for a relaxing holiday destination. Recommended airports: Dalaman is 2 hrs 45 mins by car; Bodrum town is reachable by car/passanger ferry (2 hours) and to Bodrum/Milas airport by car a further 30 minutes. Arrivals via Bodrum airport will need to co-ordinate with ferry timetables. Sitting room with two large divan sofa beds (may be used as an extra bedroom for family groups), a dining table and chairs and a balcony or terrace. Small kitchen area with refrigerator (we suggest bringing a travel kettle), twin bedroom with air conditioning and bathroom with shower/wc. Pool side restaurant. All suites are air conditioned. Wi fi internet access available in public areas. Holistic Therapy Centre on site. 400sqm freeform swimming pool with children's pool and jacuzzi. 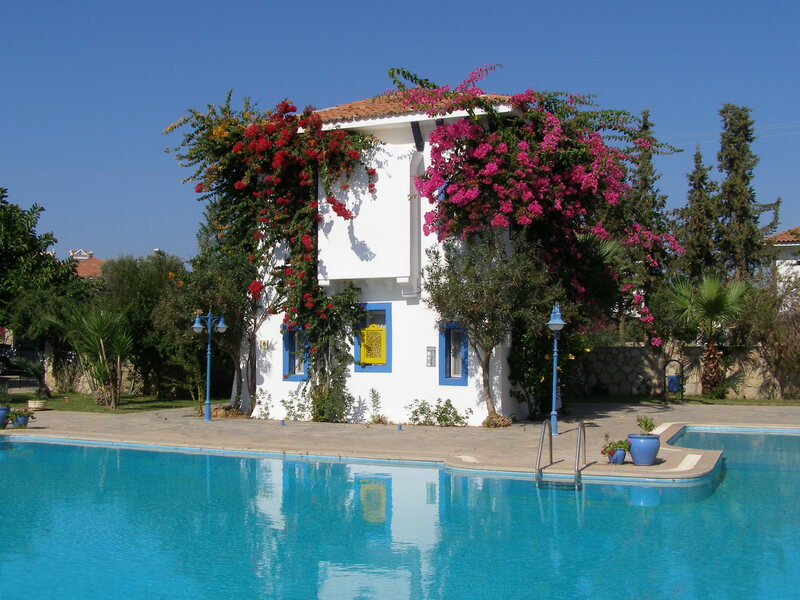 Nearest beaches - Both of Datça town's beaches are within a 30 minute walk from the hotel. Kargi's pebble beach is a 10 minute drive and the sandy beach of Karaincir is a 15 minute drive. There are a few small shops within a 10 minute walk of the property and once weekly there is a fruit and vegetable market in the town centre. The nearest large supermarket is on the main road (15 minutes walk/3 minutes drive). There are many restaurants in Datça town centre (25 minutes walk). If you would prefer more spacious accommodation there are also villas situated in the grounds that share the facilities of the hotel. See Marfe Villas for details. Car hire is not essential and local taxis are readily available but car hire will undoubtedly enhance your enjoyment of the area. Prices are weekly per person sharing a twin suite on bed and breakfast basis. For 3rd and 4th persons sharing the room a small supplement is charged. For children under 6 years sharing a suite with parents, no charge. For children 6 to 12 years a nightly supplement of £10 is charged. Shorter stays are available. POA. Please note that our representative will be available for telephone contact but does not visit this property. Hotel bookings are on a request basis.